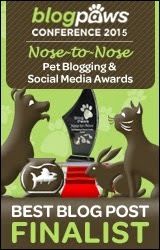 It's time for another Pet Blogger Blooper Round-Up today! I've been saving up one particular photo for about a month now just for this special occasion. It's probably my best blooper to date, so I'll save that one for last. 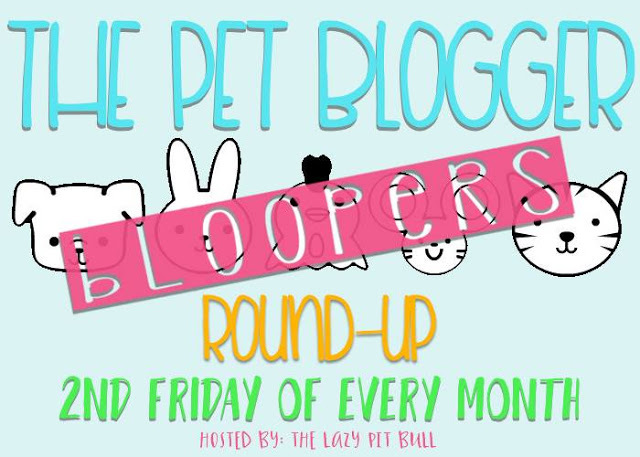 If you have no idea what's going on, every 2nd Friday of the month I am sharing my best pet bloopers in the form of photos along with many other pet bloggers in the Pet Blogger Blooper Round-Up hosted by The Lazy Pit Bull. Let's get started with Miss Callie! I found this blooper on my phone. 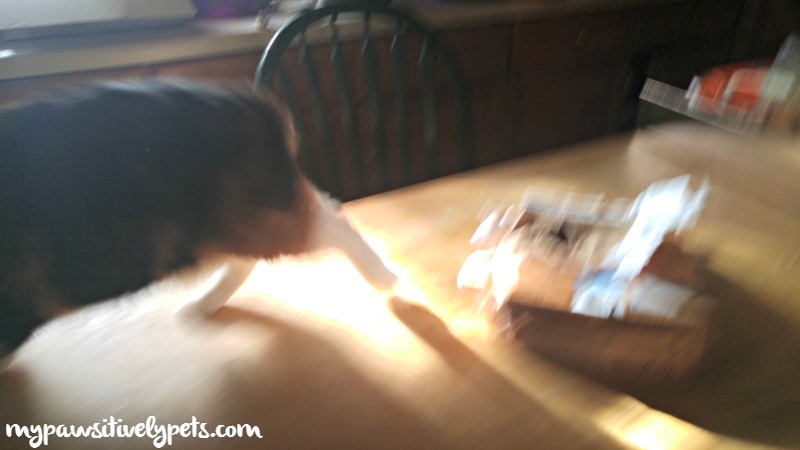 It's a little hard to tell what's going on because it's blurry, but Callie is running away from a crime scene. I left a bag of food on the kitchen table, and found it ripped open the next day. 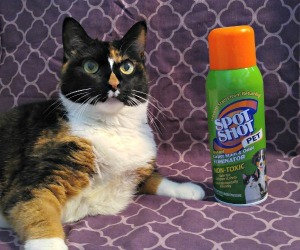 I wanted to take a picture of her next to the evidence, but she didn't feel like being incriminated I guess. Next up, we have Gus. My youngest daughter decided Gus would like to attend a tea party in her Hello Kitty castle. I thought it was cute, so why not take a picture? I mean really, Shiner? Do you HAVE to go right there?! 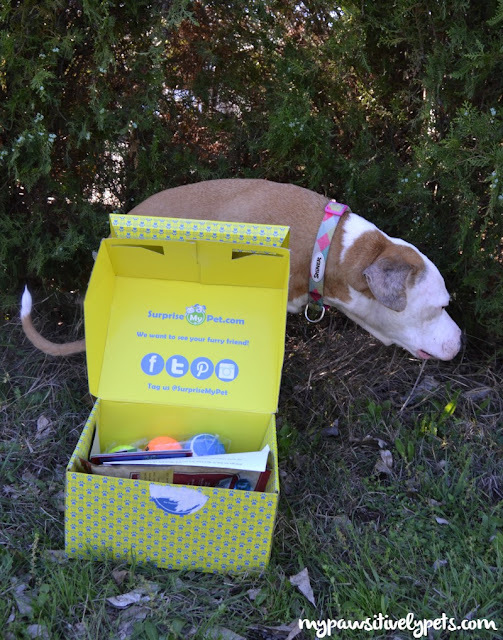 Yes, she is pooping behind that box. Thanks for joining us in today's Pet Blooper fun! We'll see you next month for more bloopers. 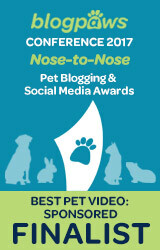 In the meantime, you can check out more funny bloopers from other pet bloggers in the blog hop. MOL!!!! Shiner, that's the BEST outtake EVAH! MOL! At least she did it behind the box and not in the box. MOL! Those are some excellent bloopers. And Shiner...oh my! 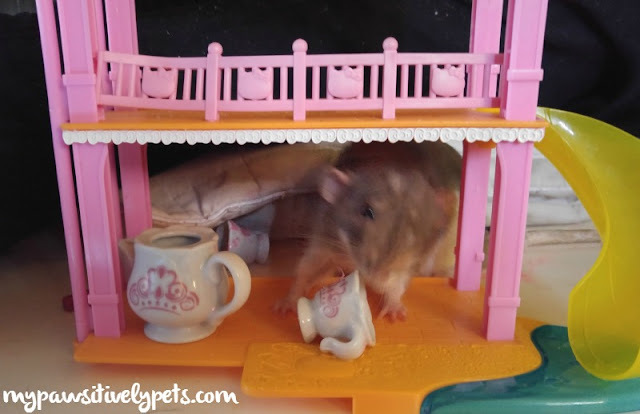 Love the rat tea party, too bad he wouldn't sit still! Hahahaha! When you gotta go, you gotta go! MOL Shiner!! You covering your modesty!! Not quite sure which made me laugh harder Gus or Shiner? Great bloopers! Those are all good bloopers. And god knows I have many photos like the first one. Those are all great but that last one is just priceless!! !